I have now finished 2 of the 8 library books I picked up at the end of April. Both are books from authors whose other works I adored, but was not so sure I would enjoy due to the subject matter. 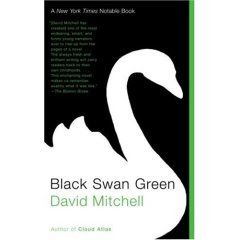 First up is Black Swan Green by David Mitchell. Cloud Atlas and Ghostwritten are two of my all time favorite books so when I heard about Black Swan Green, I was excited – until I heard it was about a 13 year old boy in England in 1982 which is not my typical area of interest. I am glad I gave the novel a chance – it isn’t up there with his others in scope or audacity, but it is a solid 4 ½ stars in my book. 13 year old Jason Taylor has to deal with bullies (made worse because of his stutter) and family mysteries all while trying to hide his secret life as a would be poet (not acceptable in this neck of the woods). Jason is a sympathetic character and his character arc felt authentic and was satisfying. 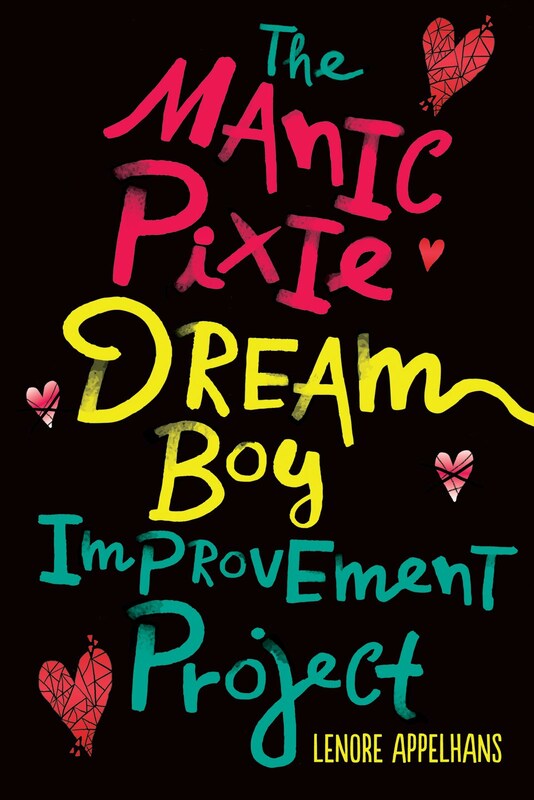 The plot is fairly straightforward and what you might expect of a coming of age novel. I really liked scenes with Jason’s cousins (especially his idolatry of his suave older cousin Hugo) and with Mrs. Crommelyncks who tutors him in poetry (that she’s a character from Cloud Atlas was an added bonus). A rewarding diversion to be sure, but I do hope Mitchell’s next one is more in the vein of his high concept offerings where he so excels. Next up is The Night Watch by Sarah Waters. Her Fingersmith has one of the most thrilling, twisty plots I have ever read and it is high on my list of recommended reads. Affinity was not as exciting, but did have a great spooky atmosphere. The Night Watch is high concept in its structure – it is told in three parts, starting in 1947 after WWII and then going back to 1944 and then finally back to 1941. Waters even defends this structure at one point through one of her characters, Kay, who says this about why she sometimes watches the second half of a movie first: “I almost prefer them that way – people’s pasts, you know, being so much more interesting than their futures.” If you feel that way too, well then this novel is right up your alley. In the beginning section, 1947, characters continually allude to past incidents and though the future is left open, you can conjecture what happens based on what happened in the past. Many reviews that I read about this book mention not liking the characters which made them not really care about their future or their past. It’s true that these aren’t exactly loveable characters but they are ultimately complex and interesting if you give them a chance. I admire the experiment, but miss the fun of Fingersmith so I’d give it 3 ½ stars. Have a look at mine? If you have any problems, then you should definatley fill out the form! Hey Lenore, Interesting to read your review too. Did you like Ghostwritten? I loved Cloud Atlas and liked Black Swan Green so I'm betting I'll like that too?